KYT, Mr. ScottyMac and Jeremey get together to record Episode 227, minus Jay Boosh (though stay tuned to the end of the show for some special Boosh action). Jeremey got to judge a Modern Grand Prix Trial for Vegas, and describes some of the judge calls he made and his thought process for each. This again brings up the topic of prize splits, and how carefully the line needs to be walked when concessions are involved. KYT and Scotty both played Grand Prix Toronto; Scotty ran with Jurassic Abzan, while KYT was on Esper Dragons. Their preparations, their Day One, and what lessons they learned after nine rounds with their respective decks. So which Canadian province is best at Magic? The guys look at the state of Grand Prix pricing in Canada, and balancing player experience with side event prize structure: what works, what doesn’t, and what they want to see. Modern Masters 2015 spoilers have begun, and the Eh Team look at a few, including Wednesday’s ManaDeprived official spoiler, Wildfire! 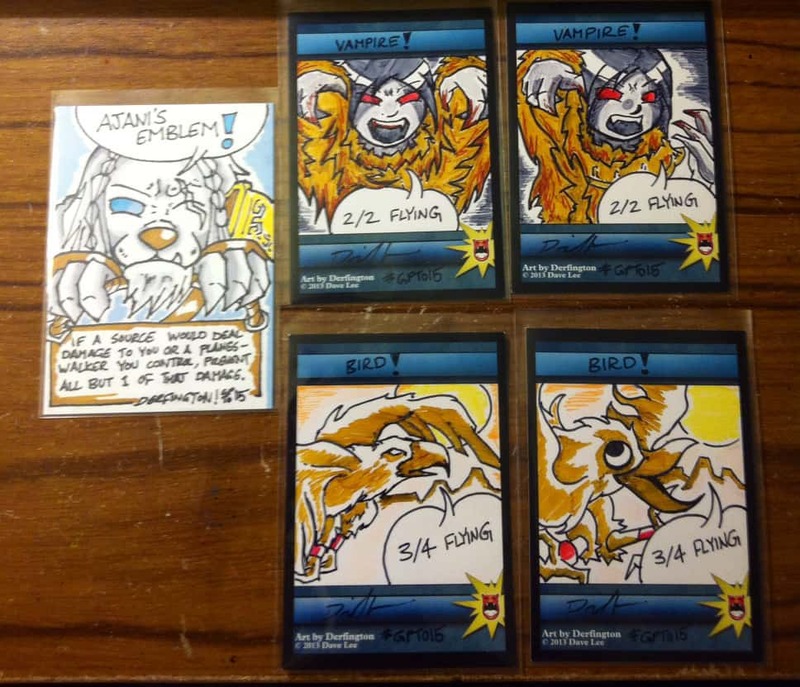 Check out these sweet Derfington custom tokens!